HSU’s pre-construction staff provides clients with services ranging from the early design phase, through completed project design and beyond. HSU has the most up-to-date cost databases that translates into accurate project budgets early in the process and are maintained throughout design completion. HSU provides services including value engineering and detailed document review and coordination to ensure a design that meets the client’s budget within the timeframe. HSU offers the option of assigning the construction project team (Project Manager and Project Superintendent) during the pre-construction phase to provide the best possible site management plan, schedule, and continuity within each construction phase. We have an extensive network of quality subcontractors that we engage early in the estimating phase. They work with our team to analyze requirements, avoid risks, and buy-into the project for scheduling and pricing and are qualified professionals with the necessary licenses, insurance, and safety programs. Our historic information allows us to evaluate past project’s pricing and durations. This necessary scrutiny avoids oversights and delivers competitive pricing. Our three-step process helps keep the estimating development up-to-date and with assurance that all facets have been considered. Our comprehensive knowledge of the development, design, and construction industries, coupled with long-standing relationships with premier local and national design firms, HSU offers its clients the ability to formulate a design-build team that is hand-picked to meet the specific project requirements. HSU demonstrates its commitment and experience to utilizing local disciplines, including Architectural-Engineering, Mechanical, Electrical and Plumbing, and Specialty firms in geographically diverse locations. We have established an excellent working relationship with several Architectural-Engineering firms. We maintain a continuous collaboration to obtain quality-driven subcontractors experienced with UFC requirements, ensuring milestone deadlines are met and the entire team is acutely aware of the client’s budget—including how changes may impact the bottom line—and assuring the project is completed within the client’s timeframe. This approach is our foundation and HSU focuses on designing and constructing amazing projects for our clients. While architectural design progresses, HSU prepares your job site and, when possible, certain portions of construction occur. This overlapping construction and design enable our team to deliver projects with aggressive schedules. As the project nears completion, HSU will provide the client with walk-throughs, instructional videos, hands-on training, and owner documentation, such as warranties. This communication and hand-off between HSU and the client are critical for any successful project. HSU was called upon to complete a fast-track, design-build renovation of two courtrooms and the U.S. Attorney’s Entrance in anticipation of these upcoming notable trials. The courtrooms’ renovation required installation of the latest tech nological standards for televising trials and the latest technological security measures, while incorporating the special design requests of the presiding Judges and the General Services Administration. 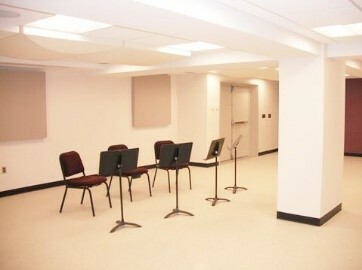 HSU successfully completed this project by the required deadline. The renovation of the entrance doors at the U.S. Attorney’s Lobby became a mission critical project in preparation for the heightened security requirements associated with these two trials. HSU was retained to construct a design-build project that included the installation of ballistic entrance doors, mechanical renovations, and design renovations to the U.S. Attorney’s Entrance lobby. HSU worked in conjunction with several different agencies to complete a design and deliver a product that met the required security demands, while maintaining the functions required by the courthouse panel. After the 9/11 terrorist attacks, HSU was contracted to complete a design-build project to expand the DEA field office at Washington National Airport. HSU worked in conjunction with the DEA, GSA, Metropolitan Washington Airports Authority, and Fairfax County to provide the DEA with an expanded field office space, to include an interview room and a significant re-design of the space to accommodate an increased number of federal field agents. Again, HSU successfully completed the construction of an innovative and functional office space at an expedited pace, thus allowing the DEA to heighten security at this critical airport during a time of national emergency. HSU’s management team is proficient and skilled in all facets of construction, utilizing seasoned Project Managers who have strong working relationships with local subcontractors and suppliers; and deliver efficient, reliable and cost-effective services. Over the past decade, HSU has made a name for itself in the industry as a reputable and conscientious Construction Manager. HSU makes use of the latest technologies to bring the best value to its customers by maximizing advanced computer and internet technology throughout all stages of construction management, combined with a thorough knowledge of current market conditions and subcontractors, which allows the company to offer budget pricing, value engineering, alternative design recommendations, and advanced project scheduling, including thoroughly planned Critical Path Networks. project DETAILS MATCH the CORE requirements. HSU successfully provided Construction Management services to the John F. Kennedy Center for the Performing Arts - South Block Renovation. This award winning project involved professional management services for the Kennedy Center and the end-user, National Symphony Orchestra. 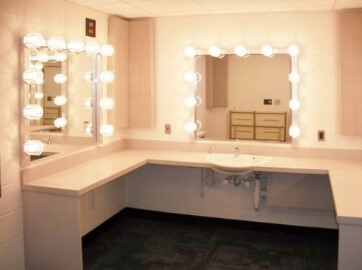 The scope of work included renovations of approximately 25,000 square feet with interior demolition and build-back of dressing rooms, locker rooms, bathrooms, offices, and instrument storage rooms. The renovation consisted of complete upgrades of the mechanical, sprinkler, electrical, and fire alarm systems. Many spaces, including the storage area that kept the grand pianos, required specialty conditioning systems to protect these delicate instruments. Construction or renovation of any structure requires special expertise and the utmost understanding of the needs of the client, and the architectural and historical integrity of the project. HSU has successfully undertaken several major construction and renovation projects. These projects range from large and complex, to extremely delicate and detailed. From renovating The White House and the U.S. Marine Corps Memorial, to construction at the Kennedy Center and constructing embassies worldwide, HSU works on high-profile projects that require the highest levels of professionalism and technical integrity. As a true General Contractor, HSU employs a skilled labor force that self-performs demolition, rough and finish carpentry, drywall, painting, acoustical and concrete work, in addition to managing traditionally subcontracted trades. HSU is recognized for its work in construction and renovation by organizations like the Maryland Park & Planning Commission, the Associated General Contractors Association (AGC) of Washington DC, and the Peerless Rockville Historical Society. Following the anthrax scare at the United States Capitol and area Post Offices, The U.S. Federal Courthouse required immediate action to protect their personnel and the public from the threat of anthrax-contaminated mail. HSU constructed an anthrax containment mailroom that incorporated the biological warfare safety guidelines, while maintaining the functionality of a mailroom that served the United States Court of Appeals, the United States Bankruptcy Court, the United States District Court for the District of Columbia, the United States Marshals Service, and the General Services Administration. HSU completed this project at a highly expedited pace, thus allowing this multi-jurisdictional courthouse to continue its day-to-day operations with minimal disruption to its mail services. HSU was retained to renovate the 8,500 square feet of stage floor, in addition to the lowering of 45-ton loading galleries at an expedited pace to accommodate the Spring Performance Series for this nationally renowned theater, beginning with a sold-out performance. HSU utilized custom manufactured materials shipped from Oregon to complete the required structural renovations on time and within budget. This project was specially featured in The Washington Post and Channel 4 (NBC) News. It is a privilege for HSU to be involved with the meticulous preservation of a historic structure for the benefit and enjoyment of future generations. These projects are the roots of HSU’s core business. HSU learned the importance of preserving and protecting the integrity of historic structures while achieving efficiency and economy in the process with early development projects in the Hawkins Lane Historic District of Chevy Chase and Historic Rockville. HSU has been repeatedly recognized for its historic preservation efforts with awards from industry associations and agencies such as the Maryland Park & Planning Commission, Associated General Contractors of Washington, DC, CAREN Enterprise, and the Peerless Rockville Historical Society. Mary McLeod Bethune Council House. HSU has successfully completed numerous assignments directly for the U.S. Department of State, Office of Overseas Buildings Operations. HSU’s international assignments represent the best of American Government and culture of each nation. Our high-profile projects represent the Government’s functional and changing needs in secure environments. Current and past projects such as new construction, renovations, security initiatives, as well as mechanical and electrical efforts have taken HSU into 23 countries on five continents. Our international projects preserve history and ensure the government facilities are secure around the world. HSU excels in the design and construction of Sensitive Compartmented Information Facilities (SCIFs). SCIFs vary on the level of security or information needed and many of our clients require SCIFs to perform daily operations. SCIFs provide physical protection and prevent electronic eavesdropping. HSU is experienced designing and constructing SCIFs for specific environments—both domestically and internationally—conforming to DCID 6/9, ICD705, or other SCIF guidelines or requirements. Specialized SCIFs, Special Access Program (SAP) Facilities, and Radio Frequency Shielded Enclosures (RFSE) are designed and constructed by HSU, ensuring a successful accreditation.